Mead Press-it Seal-it No. 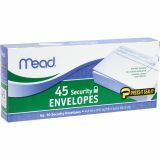 10 Security Envelopes, #10 (4.13" x 9.50"), Peel & Seal, 45 Envelopes/ Box - Mail documents you need to keep private in these No. 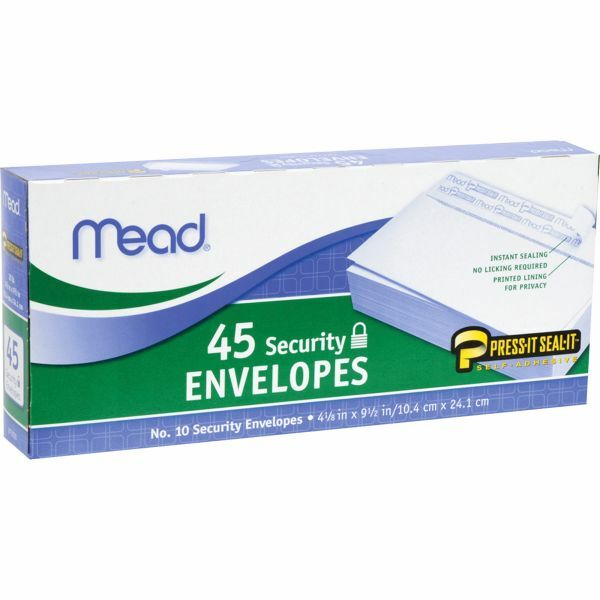 10 security envelopes with a lining to shield your information. Press-it Seal-it, self-adhesive closure makes sealing the envelopes easy. Simply peel the strip, and the envelope instantly seals with no licking.